In the words of Dr Kenny Anthony, the Prime Minister of St Lucia and a former Legal Counsel to the CARICOM Secretariat, the creation of the CCJ was “a leap into enlightenment”. Recently, in a lecture delivered at the St Augustine Campus of the University of the West Indies, Dr Anthony repeated that, in his view, the establishment of the CCJ has been “one of the major successes of (CARICOM’s) collective governance”. Few persons, who think deeply about this matter, would disagree with the Prime Minister. Yet, there was much dithering over the establishment of the CCJ. Although the decision was taken by Heads of Government to set up the Court in 1988, 17 years elapsed before it was inaugurated. In the intervening period, the absence of confidence in the Caribbean’s self-worth was obvious in the fears that were expressed about separating from the British Judicial Committee of the Privy Council as the final appellate court. The notion that Caribbean judges could judge Caribbean events and persons with erudition and independence was rejected by many, including lawyers – some of whom made handsome fees by appearing in London, the seat of the Privy Council’s Judicial Committee. Showing unreserved confidence in a Caribbean Court, the Commission recommended to CARICOM Heads of Government the early establishment of the Court for two purposes: to serve as a Supreme Court “with original jurisdiction in matters arising under the CARICOM Treaty including the authority to issue orders enforcing the implementation of CARICOM decisions; and with an appellate jurisdiction from the Courts of Member States”. The Commission foresaw that the Court’s jurisdiction “should be designed to assist the evolution of CARICOM law and its uniform enforcement”. It took 13 years after the recommendation of the West Indian Commission for CARICOM governments to finally establish the CCJ, but, unfortunately, not in the full form and not with the backing of all member-states as was envisaged. Up until Dominica’s accession to the Court on March 6 as its final appellate court replacing the Judicial Committee of the Privy Council, only three of the 12 independent Commonwealth countries joined the CCJ in its appellate jurisdiction. Those countries are: Barbados, Guyana and Belize. Prime Minister Anthony has indicated that his government is not now far behind Dominica. Other governments in the sub-regional grouping, the Organisation of Eastern Caribbean States (OECS), have stated that as soon as they overcome a constitutional requirement for a referendum on the question, they too will do so. But, they have been tardy in moving. Referenda, it is feared, become entangled with political matters beyond the question put to the electorate. 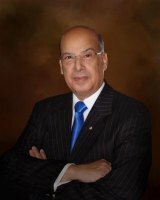 In the case of Jamaica and Trinidad and Tobago – two of the biggest countries in CARICOM – the debate over using the CCJ in its appellate jurisdiction for all criminal and civil matters has been reduced to immature and obtuse considerations such as the nationality of judges, and, sadly, even the need for ethnic balance. These debates damage the Caribbean’s standing in the international community and they impede the process by which regional institutions could be embraced by the Caribbean people as symbols of their ideals and deliverers of their aspirations. The CCJ was always intended to be an independent judicial body served by the best judicial officers available from throughout the region. There was never any consideration that employment of the best judicial brains should be subject to national and ethnic considerations. Were such considerations to become part of the criteria for selecting the Judges of the CCJ, it is the Caribbean people that would be short-changed. For decades, the people and governments of Caribbean countries have been colour-blind and unmindful of the nationalities of the judges of the Judicial Committee of the Privy Council – the majority of whom in the vast majority of cases are European and white. The only applicable standard is that they should be sufficiently learned and experienced to deliver justice. The same standard applies with the CCJ. It is the only requirement that should be needed of the officers of the Court. In its original jurisdiction in matters arising under the CARICOM Treaty for all member states, up to January 2015 the CCJ had delivered 16 decisions. Except for those who were party to the cases in which the CCJ rendered its decisions, few persons were or are aware of the nature and content of those decisions. They have gone unquestioned and without controversy. The decision that did stir debate and interest was the one given in the celebrated Shanique Myrie case because it established Caribbean “Community law” by interpreting and applying the provisions of the CARICOM Treaty and decisions of its principal organ, the Heads of Government Conference. That is the very thing it is empowered to do. In the words of Prime Minister Anthony, the CCJ “has widened and enlarged the bundle of rights of the Citizens of the Caribbean Community”. As Dominica joins as the 4th member of the court in its appellate jurisdiction and the CCJ marks its 10th anniversary, Caribbean citizens should celebrate its existence and its performance as a vital institution.